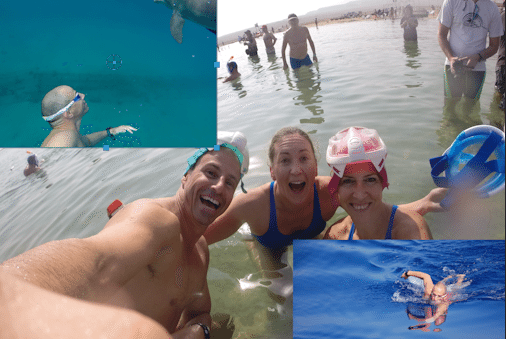 Swimming in the Dead Sea compared to the swimming in the Ocean – which is faster? After we successfully crossed the Dead Sea, we were asked by many people whether swimming in the Dead Sea is faster than the Ocean. How salty is the sea? For example, the Dead Sea has a 36% salt content, which makes it 10 times saltier then most oceans. What percent of body fat do we have? How long is our glide? Which mask/goggles are we going to swim with? 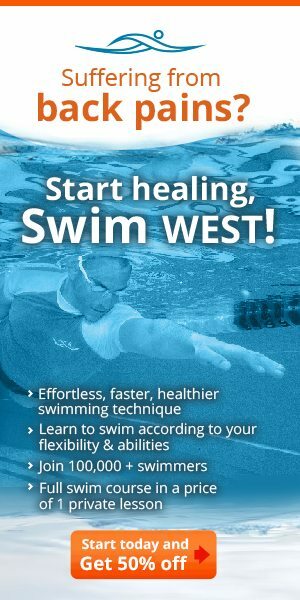 In this article we are going to inspect some of these elements and understand how they affect our swimming. One of the advantages of the full face mask is that you don’t need to move the head because breathing is done through a snorkel in the mask. Moving the head for breathing slows us down, and swimming without moving the head enables us to swim more symmetrically and by that to improve our time. The disadvantage when swimming with a full mask & snorkel is that it inhibits our breathing. For example, you need to put more effort into inhaling, especially when swimming faster (30% more). From a hydrodynamic point of view the full body mask is a bit cumbersome, which eventually slows us down. When swimming with professional goggles we need to move our head in order to breathe which slows us down a bit, but these goggles are very hydrodynamic, which makes us swim faster with less drag. 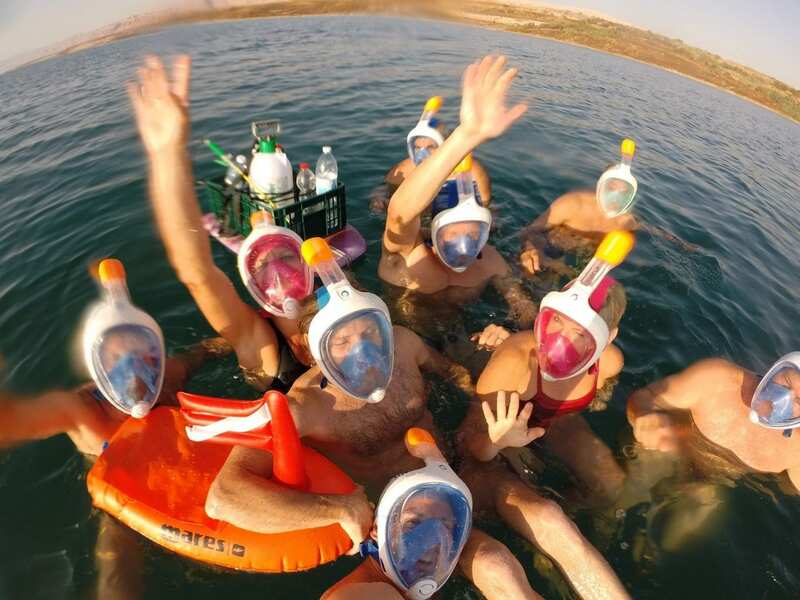 **It is not possible to swim with goggles in the Dead Sea because swallowing one glass of this water is akin to the bite of a rattlesnake and can even kill you!! Due to the design of the full mask some of the swimmers have trouble with the stretch part of the stroke and can even sometimes receive cuts to the arms or shoulders from the edges of the mask, which become abrasive in the extra salty water. In other words, if you don’t rub your shoulders against the mask while swimming you lose 40cm in each glide which is a lot. When open water swimmers swim long distances they usually eat every 30-45 min for 20-30 seconds each time. When swimming in the Dead Sea eating and drinking is a bit difficult and takes more time. Before eating in the Dead Sea, a swimmer needs to remove his mask, clean his hands, eyes and only then can he/she eat & drink, and before continuing swimming he should pour fresh water over his face and mask to remove the salt. This drill can take 1-5 min every time. Some swimmers say “No pain – No gain” but when swimming in very salty water, especially when stopping to eat & drink, the body burns terribly. As you continue swimming, the burning sensation remains, but the swimmer continues until the next burn (eat and drink break). The burning sensation causes the face to sweat profusely which sometimes makes you feel as if your face is in a sauna, which ultimately slows you down. In Conclusion, swimming in the Dead Sea was one of the most frightening, challenging, unexpected team work exercises, and one of the most breathtaking experiences of my life. But when talking about speed, swimming in the Ocean is definitely much faster than swimming in the Dead Sea. As a coach and a team member of the swim and part of the Cyprus Israel Team, this swim was a group effort. It was not about any of us individually, but about helping your fellow swimmers deal with the obstacles that we encountered. In this initial swim, with no experience in these conditions for such a long time (spending 7 hours in the salty water) I am absolutely sure that two things helped us succeed: 1. Team work – Mad Swimmers group and swimmers from all around the globe swimming together. 2. Helping save nature, specifically one of its great wonders – the Dead Sea. Although this was one of the most difficult swims I have ever experienced, I felt a great sense of satisfaction and achievement at the end as did the whole team of 28 swimmers.